Lissa Bryan’s first novel, Ghostwriter, is available through The Writer’s Coffee Shop, Amazon, iTunes, and Kobo. Her second novel, The End of All Things, is available through TWCS, Amazon, and iTunes. 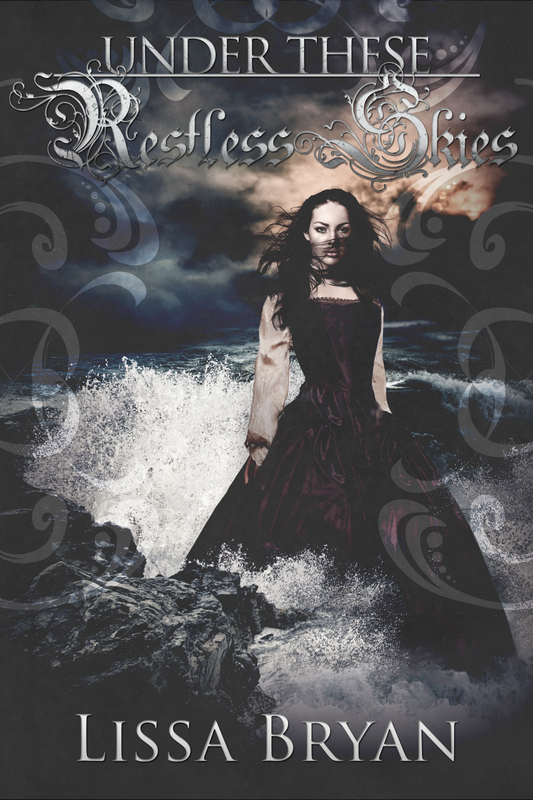 Her third novel, Under These Restless Skies, will be released on February 20, 2014. 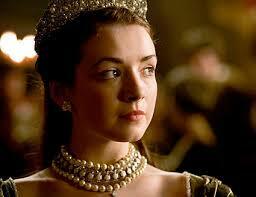 She found the queen seated at her writing table, nibbling on the end of her quill pen. Her ladies were scattered nearby, engaged in sewing shirts while they gossiped or listened to Jane Parker reading the Bible from a stand by the window. Anne looked better than she had in a while. There was a sparkle to her eyes and her cheeks had color once more. 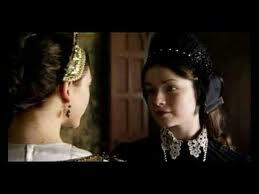 Emma bobbed a curtsey to her and Anne smiled at her before going back to studying the paper laying on the desk. “What are you writing?” Emma asked, perching herself on the stool nearby. “Were I planning to, I would have done it long ere now,” Anne said with a wry shake of her head. 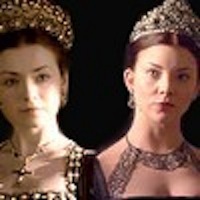 “Did something happen?” Emma had worried a bit about the situation, certain Mary would hate the infant Princess Elizabeth. Passing on cruelty to others was how some humans reacted to being mistreated. But, according to everyone at Elizabeth’s court, Mary loved her baby half-sister and spent hours holding her, singing to her and playing with her. When she wasn’t with the princess, Mary could often be found sewing clothes for the baby. “And verily, I will be blamed for it.” Anne sighed and toyed with the sand shaker. It hadn’t been her decision to send Norfolk. She was horrified at the latest scandal that had the entire court whispering behind their hands. Norfolk had installed his mistress at his family home and ordered his household to honor the lowborn girl as though she were his wife. When his real wife, the Duchess, objected, he had his servants beat her and locked her away in her chambers, taking all of her clothing and jewels so she could not escape. The Duchess had managed to smuggle out a letter to Cromwell pleading for help, but her children were so horrified she had dared to complain about their father to an outsider, they refused to take her in. The Duchess was at liberty once more, but refused to give Norfolk the annulment he wanted so he could wed his mistress. “ ’Twould be best,” Emma agreed. Mary would be happier as a wife and mother, if her treatment of Princess Elizabeth was any indication. Emma blinked in surprise. “The king allowed that?” For a long while, Henry had refused to even speak to the Imperial ambassador after he dared to chide Henry in front of the court about his treatment of Katharine. Learn more about Under These Restless Skies at Goodreads. Watch the Under These Restless Skies book trailer on YouTube.